A few years ago I invited a small group of women to my home to play with some of my art supplies. I love to teach, and I wanted to share some of the techniques I learned in college way back when. We created handmade paper and we bound books. We tried block printing and dabbled in acrylic painting. We even ventured into origami and journalling. It was fun and my heart exploded every time we had a new class. So after a bit of a hiatus, I’m back and it’s full steam ahead. 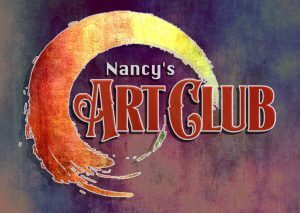 In collaboration with the folks at Shirley Center Town Hall, I am offering monthly and/or bi-monthly Art Clubs. I’m a Creativity Coach and have a firm belief that every single person is creative, so it distresses me to hear someone say, “Oh, I could never do that!”, or “I can’t even draw a straight line!”. Baloney. Being creative isn’t about masterpieces or gallery hangings. It’s about using our hands to free our thoughts. It’s also about having fun, expressing emotions and maybe even finding one’s passion in life. 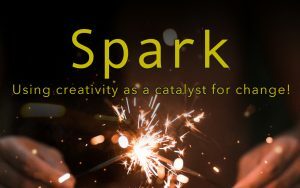 If you’d like to explore the creative arts with me, drop me a line at contact@nancybeaudette.com to get on my invitation list. (Sorry fella’s, right now this is for women only).